The question is mint julep or margarita this Saturday? This year, Saturday, May 5th is the day of two significant reasons to celebrate, but which will you participate? At Best Corporate Events, our team will be celebrating #DerbyDay with fun activities all day. The Kentucky Derby marks its 144th year with what is known as the greatest two minutes in sports! The Kentucky Derby is held on a dirt track at famous Churchill Downs in Louisville, Kentucky. 20 horses will compete for a chance to win the $2 million purse. The derby is the first race within the Triple Crown of Thoroughbred Racing followed by the Preakness Stakes in Baltimore, Maryland and the Belmont Stakes in Elmont, New York. For the same horse to win all three races is called the Triple Crown and considered the most significant accomplishment in thoroughbred racing. 2015 was the last year a horse named, American Pharoah accomplished this achievement. 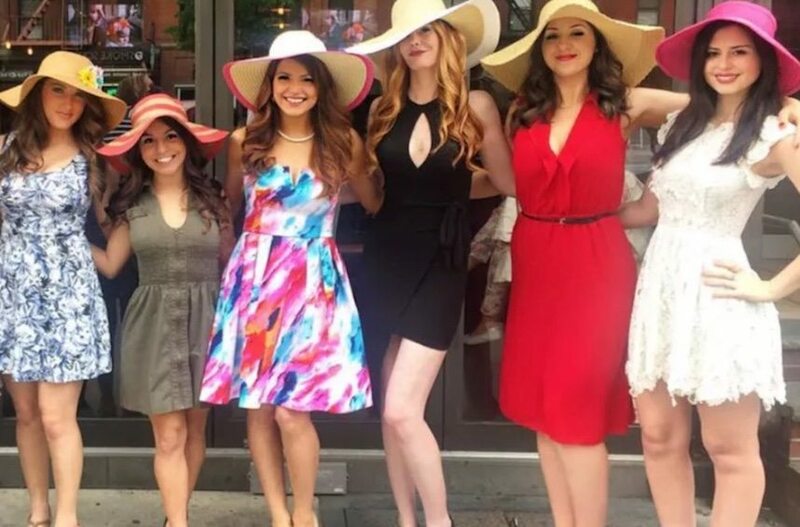 So what do you need for a fun and successful derby day with your group of friends or teammates? We’ve outlined all the essentials here. 1. The Hat – Ladies must select the most extravagant hat possible that represents their personalities. The derby is not just about the horses. It’s about making a statement in the fashion world with your derby hat and attire. Derby hats come in all shapes, colors, and sizes. Whether decorated with feathers, jewels or bows, the hat must be that perfect statement piece to go with your race day dress. More dramatic the better! 2. The bourbon – The Kentucky Derby and bourbon go together hand and hand. The signature drink of the derby is the mint julep. The mint julep consists of mint leaf, bourbon, simple syrup, and ice. Kentucky Derby goers have been sipping on mint juleps since 1938. Each year almost 120,000 juleps are served throughout the event at Churchill Downs. 3. The wager – If you’re a betting man than the Kentucky Derby is one of your favorite days of the year. Spectators will start reviewing the field days before and strategizing how they will play their bets. A lot goes into formulating the perfect bet. It takes an entire team of people behind the scenes including the jockey, the trainers, the owners and many others to develop a winning horse. 4. The lyrics – If you are familiar with the 7th inning stretch, then you may know the infamous “My Old Kentucky Home” song sang each year at the Kentucky Derby. This song which was originally composed back in 1852 became the official state song in 1928 when the state legislature selected and adopted the song. The song is now sung every year at the Kentucky Derby as the kick off to the event. 5. The hot brown – An open-faced turkey sandwich with bacon and Mornay sauce was born in the 1920’s and is now a Louisville tradition. Cities across America have adapted their own versions in the spirit of the derby, and hot browns are now served at restaurants and derby parties throughout the day. Team building can be fun and entertaining and can revolve around events and “holidays” on the calendar. This weekend will be a double dose of fun whether you are choosing to watch the big race or snack on some Mexican inspired dishes. At Best we offer the flavors of Mexico year round with our culinary team building event called Fiesta Fun! Learn more here.